What the !"! "§$§% is that? T shirt model Ellis leaving for A&E after an argument with the sewing machine. did she need stitches? boom boom! 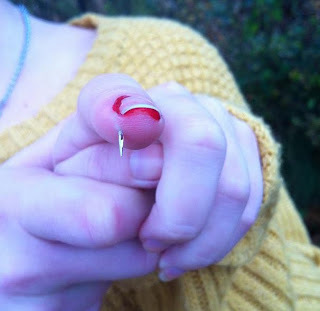 It seems like she was actually lucky enough to miss the nail. That'd be medieval.